This Half sleeve frill dress is great for a wedding and a party! 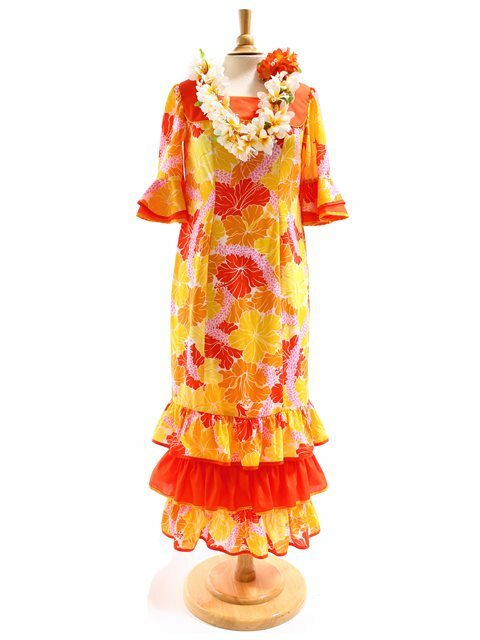 Also popular dress among the Tahitian dancers. With the exception for one item, Poly-Cotton (Cotton 65% Polyester + 35%) is durable, has less wrinkles, and normal washing is OK!